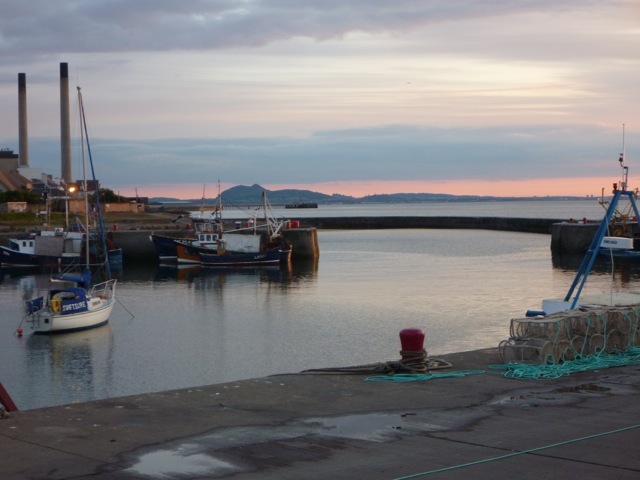 Mainly boats heading out to, and coming back from, the races – except the final clip of Portobello winning the Men’s Open. 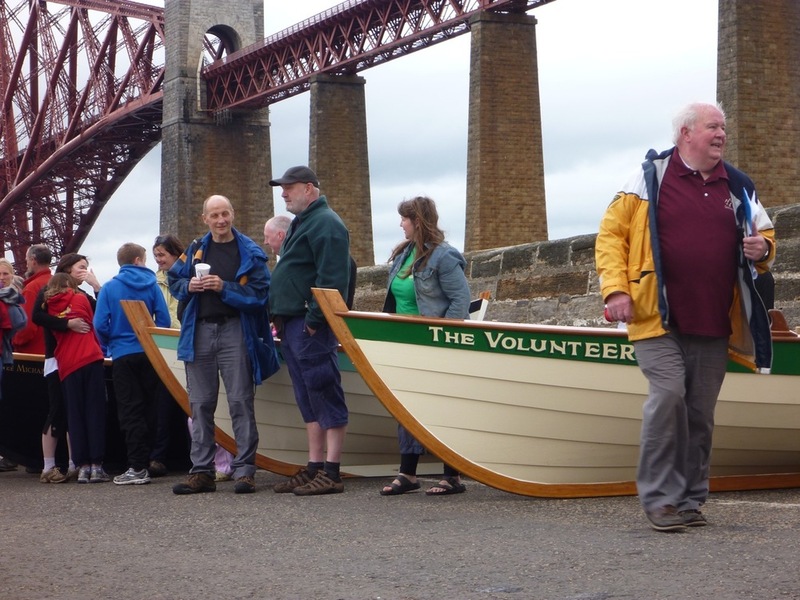 A quick update on our fun day in S. Queensferry, where the sun shone and it did not rain this time! The event was very well organised and the racing course was also well laid out, short enough to make it a sprint (5min rowing), but long enough to create a few new blisters. The event was tagged onto the RNLI open day, so there was the lifeboat out, the rescue chopper, the large tug boats showing off their fire-engine capabilities and then there were those big woolly Newfoundland dogs with buoyancy aids, which were meant to rescue folk from the water, unconvincingly. 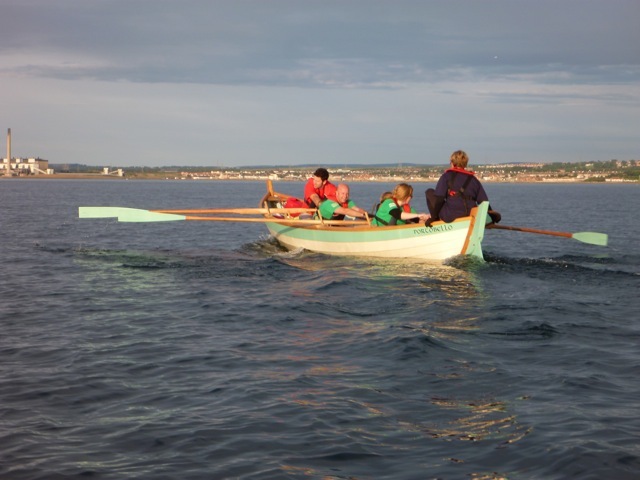 Rowporty did very well yet again winning 50% of the races. 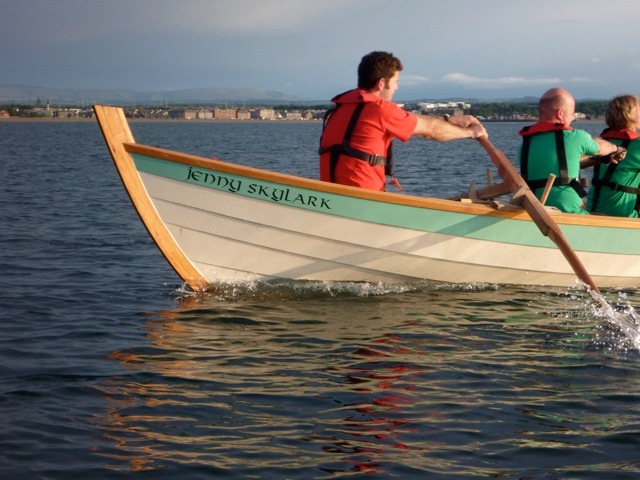 We won the heats in the men’s, women’s and mixed races and went onto win the finals in the men’s (narrowly beating the big lads from North Berwick) and the mixed category. 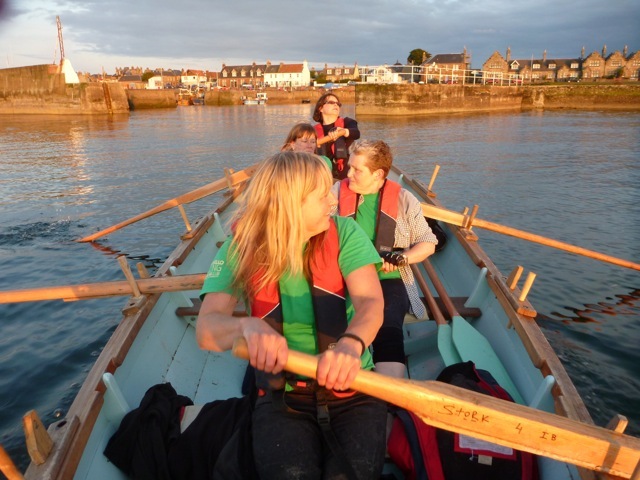 Both women’s team won their heats so Portobello had 2 boats in the final of the women’s race. 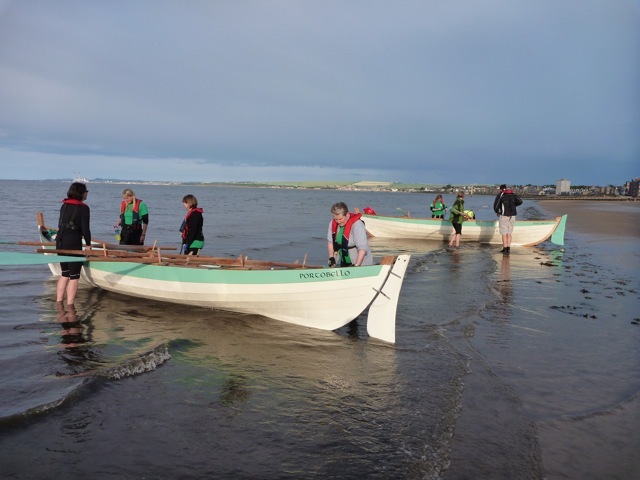 They came second and third, beaten by a very young and keen team from Anstruther (who were hard to beat in the Achilitibuie sprints, but have improved loads recently). The over 50’s team did very well coming to the finish line neck and neck with N. Berwick; it was difficult to know who had won until the umpire called it and Rowporty came a proud second. 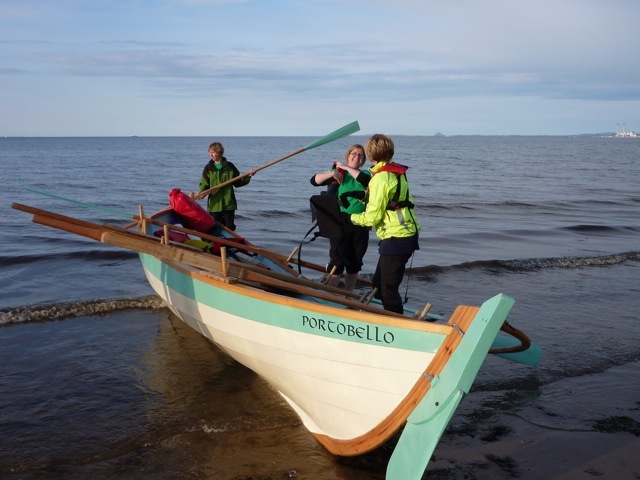 After the event some of us rowed Jenny Skylark back to Portobello (2:55min, about 12 miles) leaving at 15:30hrs and arriving back at 18:25hrs. 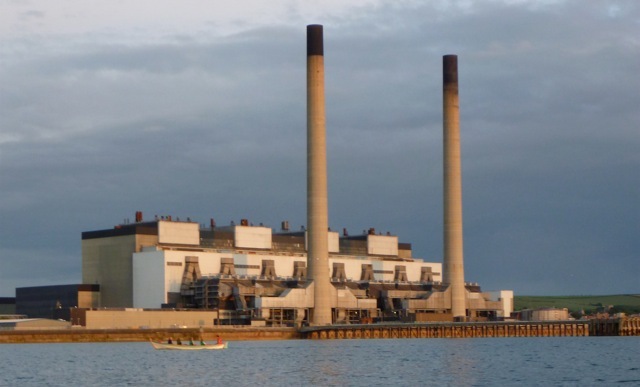 We had a good journey; as we rowed under the rail bridge we had a good tail wind and the tide was still running out, so it only took 45min to round the point and see Cramond Island. 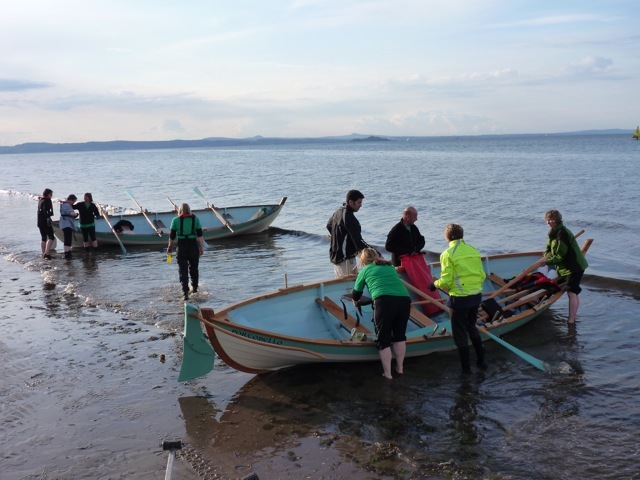 It took 1.5hrs to row to Cramond Island and then another half hour to get level with Granton and Newhaven. 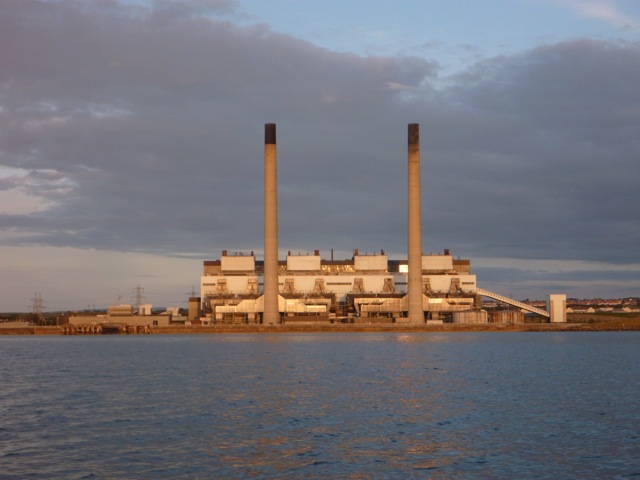 From there, on low tide we rounded the rocks that stick out between Leith Harbour and the sewage works (we did find some rocks very close to the surface here at low tide). 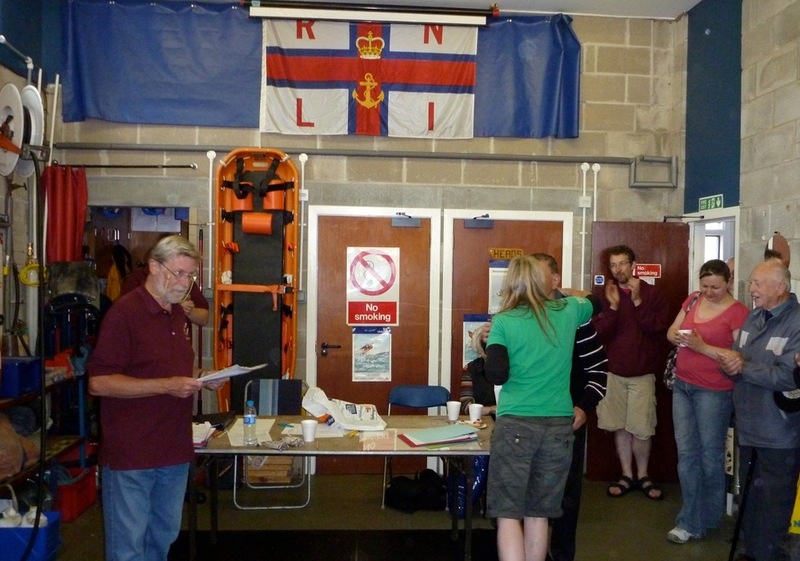 We arrived back to be greeted by a few keen supporters (Nik, Ali and Frances). 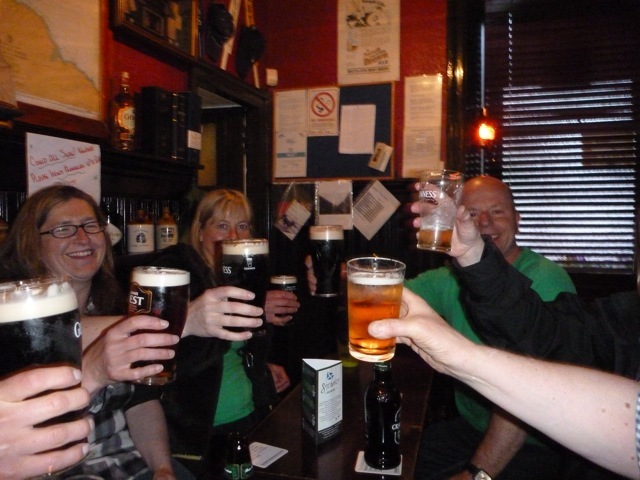 Amanda (the tenant at the Espy) was so impressed that she bought us all a pint, which washed away any sore blisters or raw backsides! 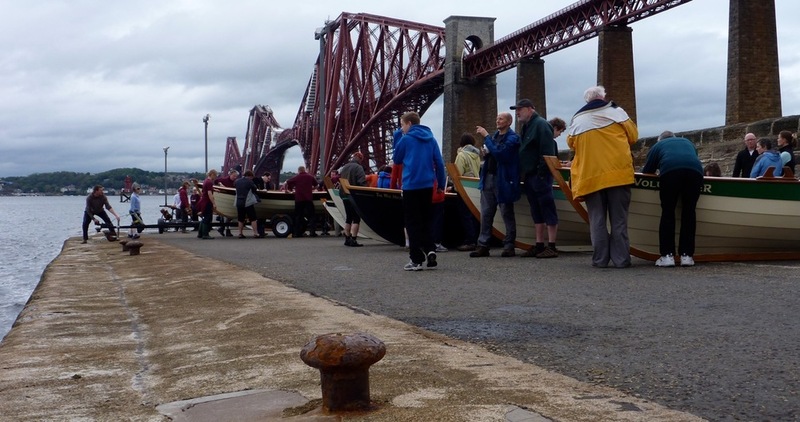 As Nik S said, we have now rowed from S. Queensferry to Portobello, to Port Seton (twice) and to North Berwick. 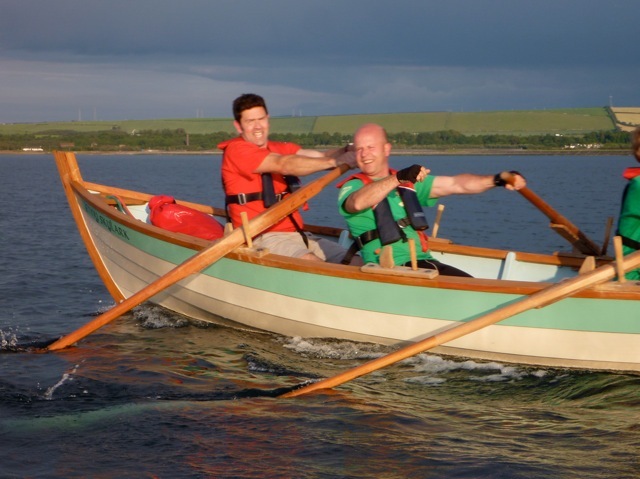 Next we need to row from N. Berwick to Dunbar, then Eyemouth… maybe then we should head for the Island of Mey and cross over to Elie to return to North Queensferry and complete the circumnavigation of the Forth! Next weekend is Portsoy. 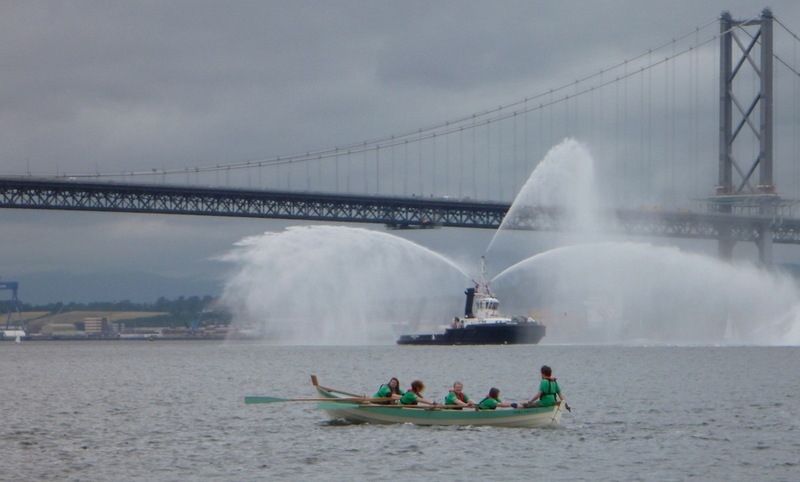 We are taking one boat only, leaving the other in Portobello, which will enable those that are not going to get out and row/practice. Can’t wait! 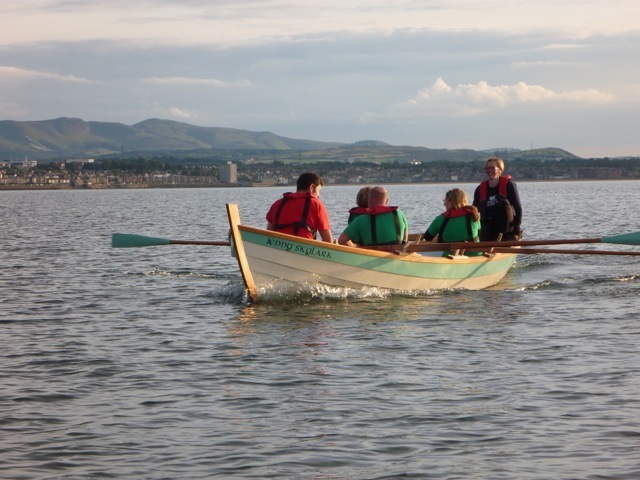 On Friday 10th June a group of us rowed both boats over to Port Seton for the regatta at the weekend. 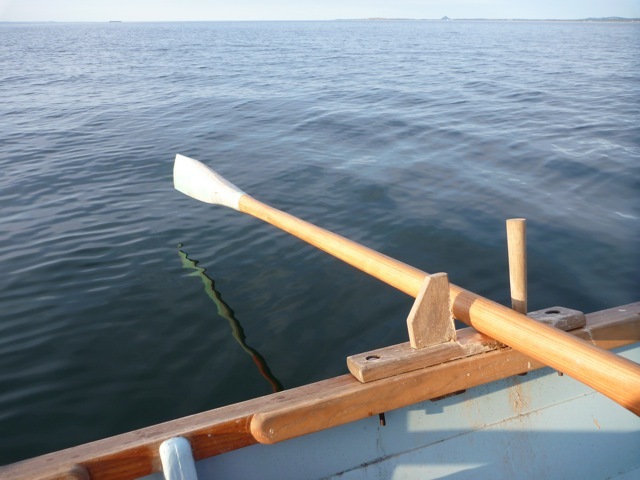 It was a good row, but I’ve forgotten useful facts like how long it took us! Anyone? Leave a comment! 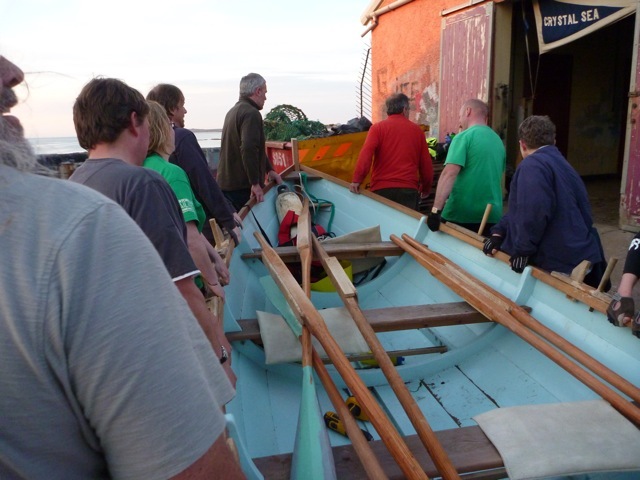 Many thanks to the rowers at Port Seton who spotted us coming in and arranged things for us, to the fishermen who let us store the boats in their net shed, and to everyone who helped carry the boats up. The Thorntree Inn is a nice little pub!